In order to better understand the in vivo mapping of AMPA receptors and its evolution in neurological diseases, research at CRC aims at developing the design and the synthesis of 1,2,4-benzothiadiazine 1,1-dioxides (BTDs) positive allosteric modulators radiolabeled with a fluorine-18 atom. They also developed pharmacological tests to evaluate the best candidate for the radiochemical synthesis for its in vivo applications. The synaptic vesicle protein 2A (SV2A) is widely distributed in the brain and has been demonstrated to be involved in vesicle trafficking. 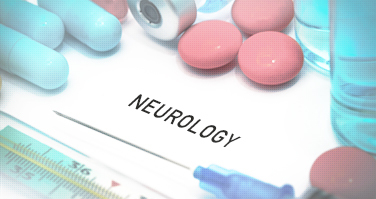 The critical role of SV2A in proper nervous system function is shown, e.g., by the fact that it is a binding site and the primary mechanism of the antiepileptic drug levetiracetam. This drug has recently been suggested to reduce synaptic deficits in a mouse model for Alzheimer’s disease. Researchers at CRC have developed a new [18F]-radioligand which has a high affinity for the SV2A protein. The PET images showed a high and rapid uptake of [18F]-synaptic vesicle SV2A radiotracer in the grey matter structures, matching the known ubiquitous distribution of the SV2A in human brain. The kinetics of the tracer in the brain was characterized by an initial high uptake phase followed by rapid washout. The obtained results suggest that [18F]-radioligand is a good candidate as radiotracer for brain SV2A proteins and could be used to assess SV2A modifications in neurological pathologies such as Alzheimer’s disease and epilepsy. Triple Stimulation Technique (TST) studies motor responses using a neurophysiological recorder, coupled to a dual electrical stimulator and a magnetic stimulator. This technique links central to peripheral conduction and suppresses desynchronization of motor evoked potential. It helps to better quantify the proportion of motor units activated by transcranial magnetic stimulation. The abnormal amplitude registered by TST is proportional to the intensity of conduction disorders. Together, the CHU and the GIGA have a vast expertise in clinical imaging techniques, individually or combined in a multimodal functional imaging approach. Magnetic resonance imaging (MRI) scanners use strong magnetic fields and radio-waves to visualize detailed-internal structures. Images are obtained in vivo with very high spatial and temporal resolution and good contrast for brain and soft tissues. MRI can be used in a wide variety of applications including anatomical, functional (fMRI) and molecular imaging for medical diagnosis, staging of disease and for follow-up without exposure to ionizing radiation. Equipment: two 3T Siemens Allegra with parallel imaging capabilities (8-channel receive coil), one 1.5T Siemens Symphony and two 1.5 Siemens Aera Scanners. This non-invasive technique relies on the in vivo mapping of the water diffusion process. It supports inferences about the tissue microstructure and brain connectivity. DTI (diffusion tensor imaging) is one of the most popular MRI techniques investigated in current brain-imaging research. This method characterizes microstructural changes or differences with neuropathology and treatment. It is an extension of diffusion-weighted imaging (DWI), which is based on the principle that water molecule movement is restricted by barriers to diffusion in the brain depending on tissue organization. DKI (diffusion kurtosis imaging) is an extension of DTI, exhibiting improved sensitivity and specificity in detecting developmental and pathological changes in neural tissue. This technique is based on the non-Gaussian diffusion of water in biologic system. It provides independent and complementary information to that acquired with traditional diffusion techniques. The diffusion imaging provides several advantages such as showing abnormalities invisible on standard morphological MRI and providing a better assessment of neurological impairment degree. Our diffusion imaging techniques are equipped with structure T1/T2 weighted MRI (sMRI), diffusion weighted imaging (DWI) and quantitative MRI (qMRI). SPECT is a nuclear medicine tomographic imaging technique, which uses radiopharmaceutical emitting gamma rays. Similar to PET, it can be combined with a computed tomography (CT), a cross-sectional technique that yields structural and anatomical high-resolution 3D images. Equipment: 2 SPECT-CT Siemens Symbia T6, 1 SPECT Siemens E-Cam. 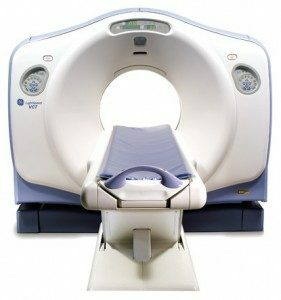 A computerized tomography (CT) scan combines a series of X-ray images taken from different angles and uses computer processing to create cross-sectional images, or slices, of bones, blood vessels and soft tissues inside the body. Equipment: 2 GE Brightspeed Elite scanners, 2 Siemens Somaton Emotion scanners, 1 Siemens Somaton Definition scanner. 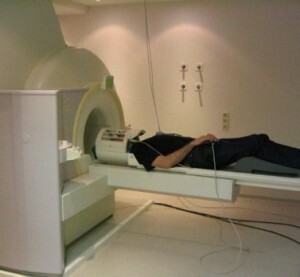 EEG coregistration during (f)MRI with analysis tools to correct magnetic artefacts on the EEG data. Our Magstim1 TMS system (Whitland, UK), coupled with a Brainsight neuronavigator (Rogue Research, UK) allows transcranial magnetic stimulation of specific brain regions based on the MRI data of the patient. Our Nexstim NBS/Eximia EEG/TMS system (Helsinki, Finland) allows simultaneous transcranial magnetic stimulation of precise brain areas and EEG determination. This infrastructure allows chronobiological studies in complete isolation. Fixed and portable, MRI-compatible, visual tracking and pupillometry systems (Arrington Research, Scottsdale, AZ, USA; Applied Science Laboratories, Bedford, MA, USA), allowing the measurement of pupil size and gaze position during (f)MRI.